The Central European Empire, a land of peace & prosperity, ruled by its king. Near the very borders of Devoltstadt itself, a visitor is about to make a visit, for this visitor is on a vacation. A young girl around 17 years of age is walking along the sidewalk that lead into the city itself. The girl is really beautifull. Having long, orange hair with sparkling eyes that shined in the sun. She has arrived with her dinosaur, wich was a small herbivore, a Leallynasauta by the look of it. It squeeks at its master as it walks beside the girl. She was wearing a pink shirt that had a picture of a white flower on it & blue jean shorts with tennis shoes. She stands on a hill that overlooked the city as the wind blew against her hair. For this girl....was a member of the Dinosaur Soceity- the same group as what Yoruichi, Matsumoto, Hitsugaya, & Ichigo is a part of. This- was Orihime Inoue! For it was early noon in the vast kingdom of the Central European Empire. In the Capital of Devoltstadt itself, life in the city went on it's usual. The citizens & peasants continued throughout their day & their usual. Walking through the streets & the town which were filled with all kinds of people. Tall & small. Young & old, & speaking a wide variety of languages. Thankfully, for Orihime, one of the languages was English, but the people had a very strong, European accent here. For today, as always, it was busy in the towns & streets. With schools, shops, businesses & markets. It nearly resembled that of an old middle ages town with cottages. Though of course there were some technological differences. 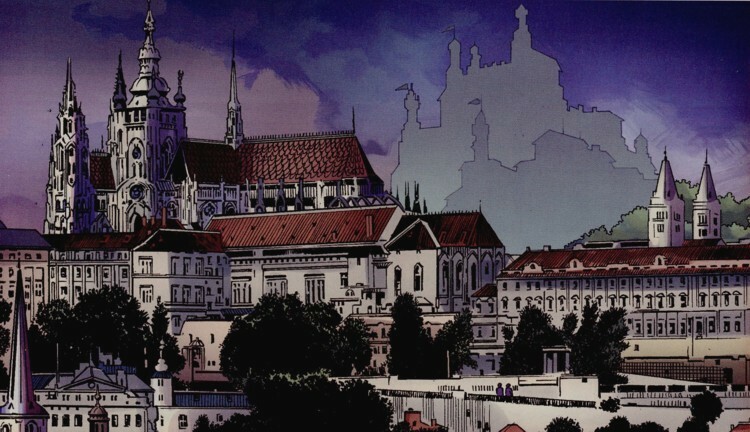 As Orihime would eventually see, the very capital of Devoltstadt lied just before her. With towering buildings & several different cottages surrounding the outer rim of the city. & lastly of course, far in the distance & sitting upon a mountainous slope.....Was the castle itself. With a nod, Orihime kneels down & places Rukia on a dog leash, incase there was a law that involved pets on leashes. She then stands back up & soon, the 2 began to walk towards the city of Devoltstadt. The early noon sun shined down upon the vast populace & city of Devoltstadt. With it's fine, cool & ever clean atmosphere & air. From their view point, they could even see the vast mountains in the horizon which surrounded the land & protected the land's natural, clean beauty from the outside. The towns people & the peasants carried out their usual & went throughout their day as normal. Living in peace & harmony as they always do....As they were commanded to do by their Monarch. But nevertheless, the towns people were very pleasant & kind toward everyone. The markets on the side lines continued their own business as usual. There were all kinds of shops & markets. From food, to traveling supplies, house wear, & other appliances. They even had a gift shop for others. Even visitors, as Orihime would find out. The moment she began to go through the first city block, she would receive constant smiles & greetings from the people, who could always tell a visitor or a tourist when they saw one. "Good day, Madame." ^_^ a law enforcer soon said to her. "Lovely weather were having." ^3^ a woman then said. O3O The boys looked on with wide eyed expressions! Unlike typical American boys, who would try & flirt with her as best as they could, they turned away! All with blushing faces! "H-Hey did she wave at us?" O/////O one said. O_O "M-Me? Oh....Okay." >///////< one of the boys said as they soon began to follow. While one of the boys soon approached. "Um....H-Hi there. A-Are you new around here?" ^/////^ the boy asked. Orihime hears this from the blushing boy & giggled, "Sorta. I'm here on a vacation for a few days." ;3 she says to the boy with a wink to him, seeing his red face, "My, my. You sure are nervous talking to a pretty girl like, me, huh?" X3 she then says. O3O "Awww, that's nice of you to call me pretty." X3 Orihime replied to the boy with a smile. "Y-Y-Your welcome." ^//////^ Teen said back with such red cheeks. While his other friensd just continued laughing where they were, watching. "Hahaha, Johann's loosing it!" X3 one of the boys said to one another. "G-Guuuuy's, knock it off!" >////////< The boy, named Johann, soon said back. ">Sigh< Well uh....I-I guess I'll let you be on your way." ^///////^ He said back. "Y-You to." ^/////^ the boy soon said back to Orihime before he began to walk off nervously back towards his friends with such red cheeks. The other boys got a huge kick out of their friend's reaction & behavior towards a new, & pretty visitor like Orihime. Indeed, things here were much different then from America. As Orihime walked along, she would meet all kinds of people. Who greeted her upon seeing a new visitor. The children especially took notice as two children in particular,a little girl, walked with her mother before seeing Orihime & Rukie, her dinosaur. O3O "Oooooh, Mommy, mommy! Look, look at her doggie!" 83 the girl said, pointing at Rukie. O.O "Oh-! Hmhm, that's not a dog silly. Now don't point." <X3 her mother replied. But instead of scaring the girl, as Orihime predicted, she was now more fond of little Rukie as she approached with her mother. "Awwwww, look mommy. It looks really cute." <83 she said to her mother. O3O Rukia looked on at the little girl, not beleiving her display failed big time! "Hmhmhm, that's ok, ma'am." <X3 Orihime replied to the woman. The mother giggled before turning to her daughter, who was kneeling down before Rukia. "That's quite an interesting pet you have there, miss." <=3 she said. "She's so cute. Can...Can I pet it?" <83 the little girl soon asked Orihime. <83333 The little girl looked on with such a delighted smile. She wasted no time & stepped a little closer to Rukia to begin petting her. "Now be gentle, sweetheart." <;3 her mother said. "She sure is. She's a Leallynasaura dinosaur." ;3 Orihime says as she watches the girl pet her herbivore. "Ohh, a dinosaur, you say How fascinating. It must make such an exotic pet." =3 The mother replied to Orihime. "Hehehe, she's fluffy & soft. Like our kitty." X3 the little girl said back as well with a giggle. O3O "Hmhmhm, she's soft, but she's not like other Leallynas. She doesn't have feathers." ;3 Orihime says. O3O "Feathers?" the little girl said back to Orihime while petting little Rukie. "But I thought only birdies had feathers." O3o? she then said. O3O "Oh-! Hmhmhm, yes they do. But, from my knowledge. Birds & dinosaurs are of the same uhhhh.....family...as you could put it." ;3 Orihime says to the girl. "A family?" O3o the little girl asked Orihime with such a cute, curious look on her face. Then, having what she thinks is an idea of what Orihime means, she holds her mother's hand. "You mean like how me & mommy are family?" =3 she then asked. O3O "Oh-! Hmhmhmhm, yeah. Something like that." 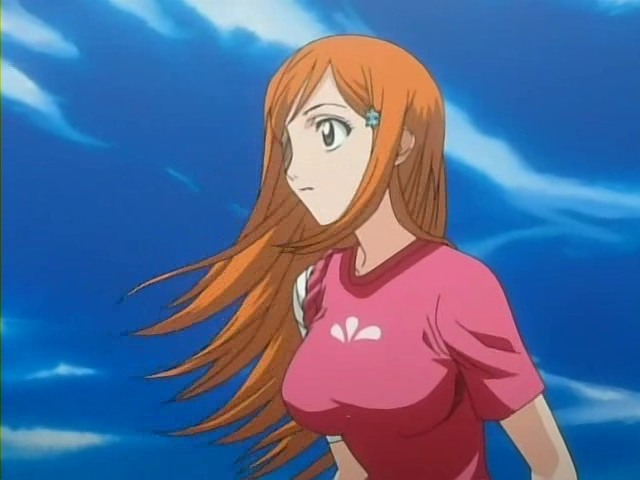 <;3 Orihime says to the girl with a pat to her head, then stood up, "We'll, I'd better be on my way." ;3 she says.